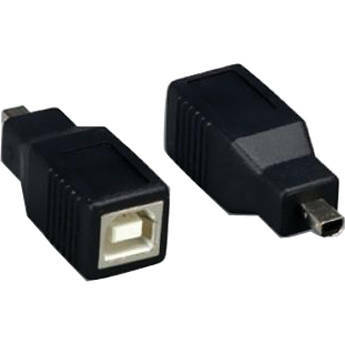 The Comprehensive USB Type-B Female to USB Mini-B 4-Pin Male Adapter converts a USB Type-B connector into a USB Mini-B 4-pin plug. It comes with a female port on one end and male connector on the other. Furthermore, it supports USB 1.0, 1.1, and 2.0 devices. Box Dimensions (LxWxH) 2.2 x 0.8 x 0.3"